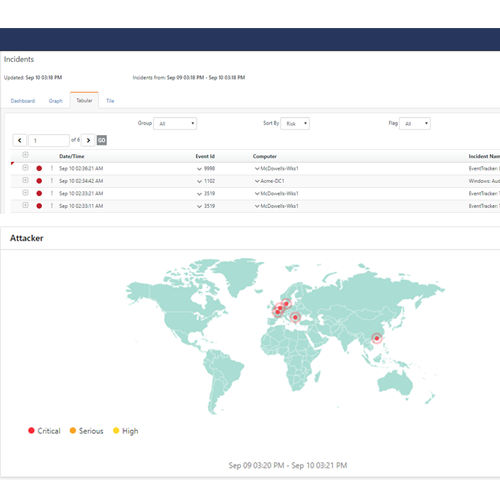 SIEMphonic Essentials from EventTracker empowers MSPs to orchestrate security and compliance with 24/7 monitoring of networks for advanced threats that evade anti-virus and firewalls. With real-time alerting and remediation recommendations, be confident that your customer's network is defended, while they focus on their core business responsibilities. SIEMphonic Essentials is based on the award-winning EventTracker platform, scaled and simplified to meet the security and compliance needs of small- and medium-size businesses (SMBs) in a single, affordable solution. We designed SIEMphonic Essentials to address the growing need for affordable, 24/7 threat monitoring to combat the evolving threat landscape, and help businesses meet multiple compliance regulations. Some benefits of SIEMphonic Essentials include: Detect and Remediate Threats: Realize faster detection and response to threats that evade anti-virus and firewalls Increase Operational Efficiency: Have more time to focus on your core business without having to divert resources to SIEM Simplified Compliance: Improve your audit process by providing pre-defined reports on compliance regulations PCI DSS, HIPAA, and NIST 800-171. Cut Costs: Reduce the costs to deploy, configure, and operate enterprise-level SIEM technologies. Ideal for managed service providers SIEMphonic Essentials makes effective cybersecurity practical for all organizations, but is especially powerful for MSPs. With SIEMphonic Essentials, IT service providers are able to efficiently support multiple customers with a single pane of glass, and to provide the most effective managed security to their customers without any additional overhead. 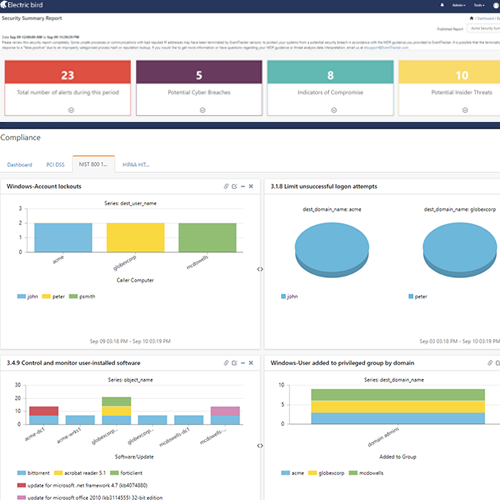 EventTracker solves the common problem of patchwork cybersecurity solutions that result in inefficient operations, unpredictable costs, and vulnerable security gaps by deploying a unified SIEM platform backed by a 24/7 SOC and multi-tenant management. Service tickets can be created in ConnectWise Manage for cases created in EventTracker. Service ticket status and notes are synchronized bi-directionally. 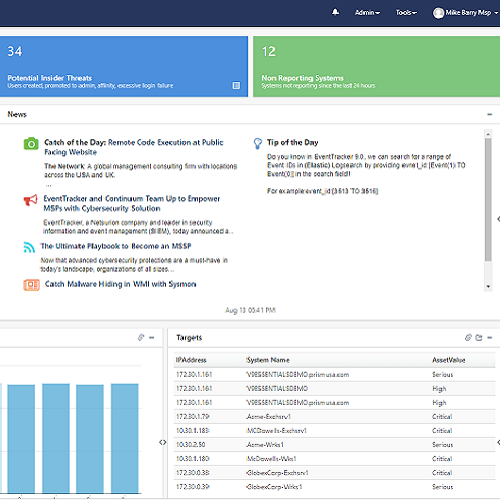 Centralized access to all the cases created in EventTracker from within the ConnectWise Manage portal (Service Board). Company/Configuration is updated in ConnectWise Manage based on the newly added EventTracker Groups/Systems. Learn how to turn risk into opportunity.